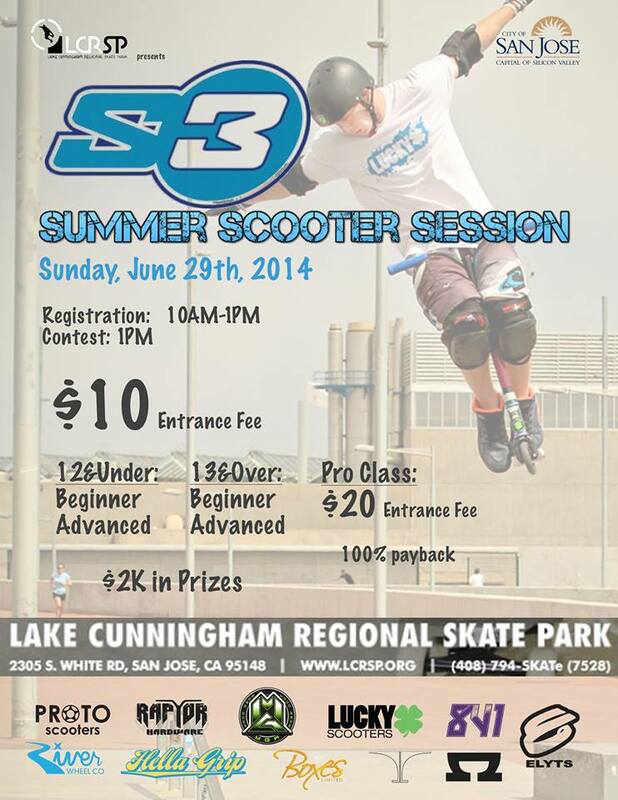 Lucky Scooters is sponsoring Summer Scooter Session contest at Lake Cunningham Regional Skate Park on June 29th, 2014. If you are looking for a nice, local contest to ride in and you are going to be in the area than you should definitely stop by! It will be a good time!